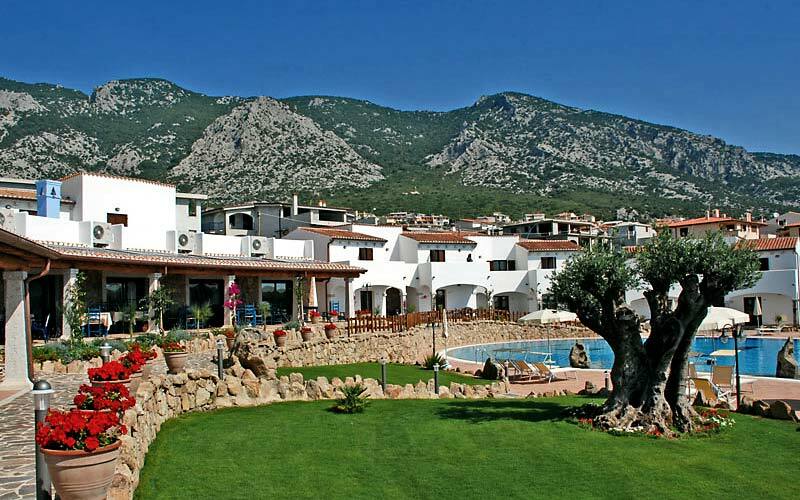 Hotel Nuraghe Arvu Resort is a charming hotel situated in Cala Gonone, one of Sardinia's most beautiful seaside destinations. A territory characterised by the stunning natural scenery, the ancient traditions, and the architecture for which Sardinia is known and loved. Hotel Nuraghe Arvu was named after the ancient settlement built by the Nuraghi, the remains of which situated in the immediate vicinity of the hotel. The beauty of the surrounding landscape together with the elegance of the hotel building and its interiors, the faultless service, superlative cuisine and, above all, the naturally hospitable spirit of the Sardinians, to make this ultra modern resort a truly exclusive hotel. 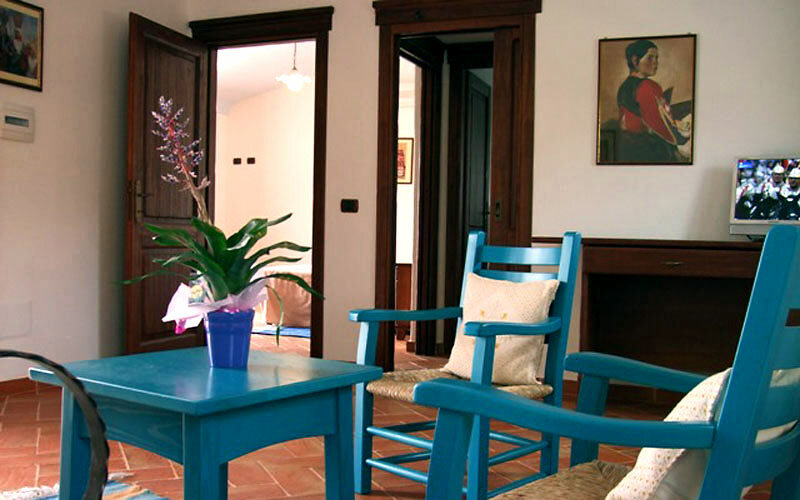 Guests are welcomed in the spacious hall within the main building of the resort before being accompanied to their bedrooms, all of which tastefully appointed in classic Sardinian style. Elegance and functionality are guaranteed, as is the attention paid to the requirements of disabled guests. 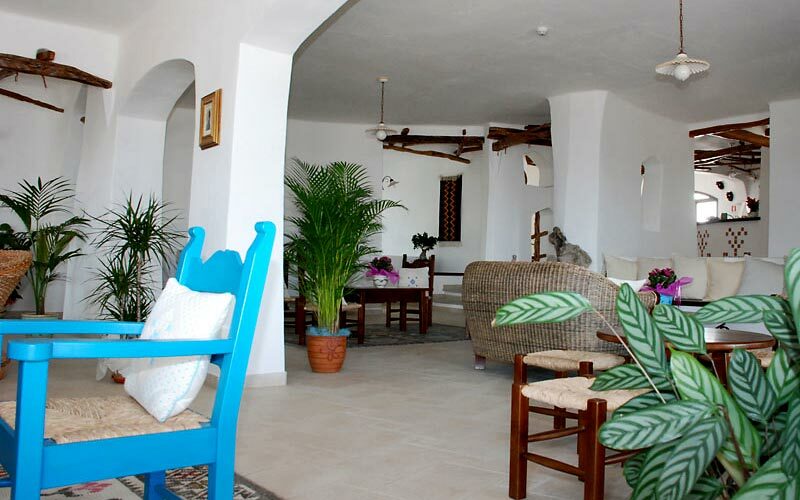 Each room has its own independent entrance and a private terrace or veranda, from where to enjoy a view of the sea, the swimming pool, or the park. For those looking for something exceptionally luxurious, the hotel has three fabulous suites. The cuisine served at the Hotel Nuraghe Arvu Resort is inspired by local gastronomic traditions. Delicious Sardinian specialities are served in the main dining room and on the terrace overlooking the sea. Excellent grilled foods are prepared on the restaurant's fireplace or outside, on the barbecue. Hotel Nuraghe Arvu's wine cellar houses all the very best Sardinian wines and provides the perfect venue for tastings of wines and typical local products. Those wishing to concede themselves an hour or two of complete relaxation head to Hotel Nuraghe Arvu's magnificent swimming pool. Surrounded by gardens of centuries old olive trees, the 400sqm pool is the real focus point of the hotel, equipped with hydromassage facility and separate areas for adults and small children. The beach and the crystal clear sea of Cala Gonone are just a few steps away from the hotel. 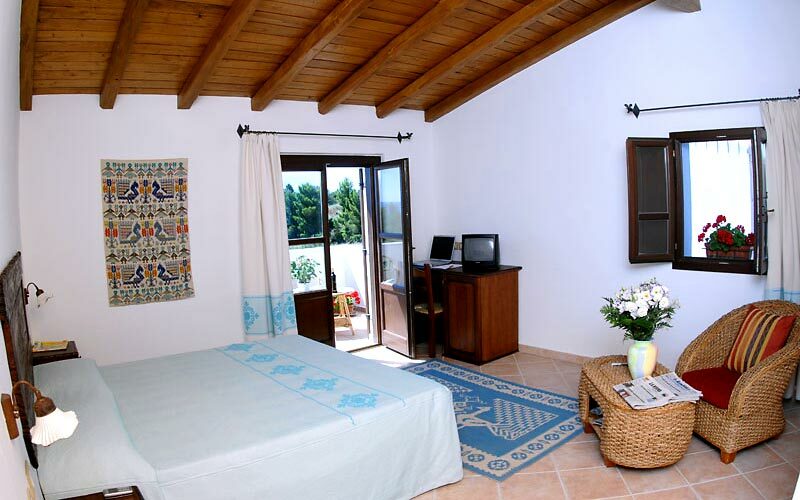 The romantic rooms decorated in traditional Sardinian style. The delicious local food and wine served on the sea view terrace. The ancient Nuraghi settlement within steps of the hotel. 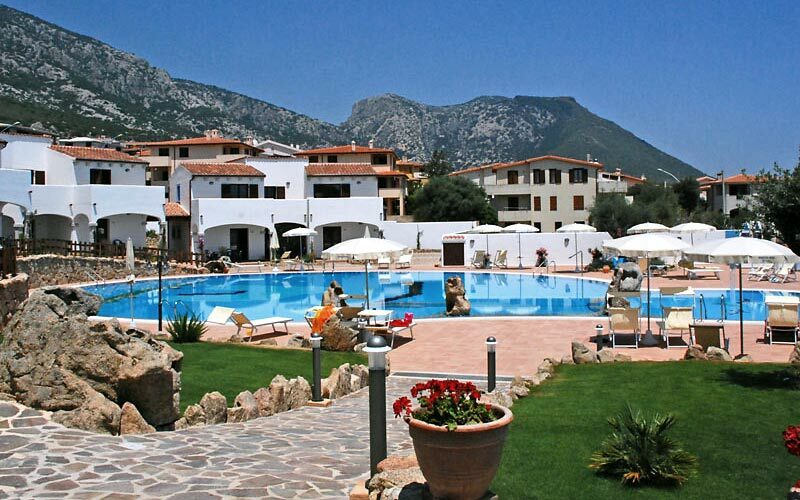 Hotel Nuraghe Arvu Resort is located in Cala Gonone, in the province of Nuoro, and close to the Gulf of Orosei. 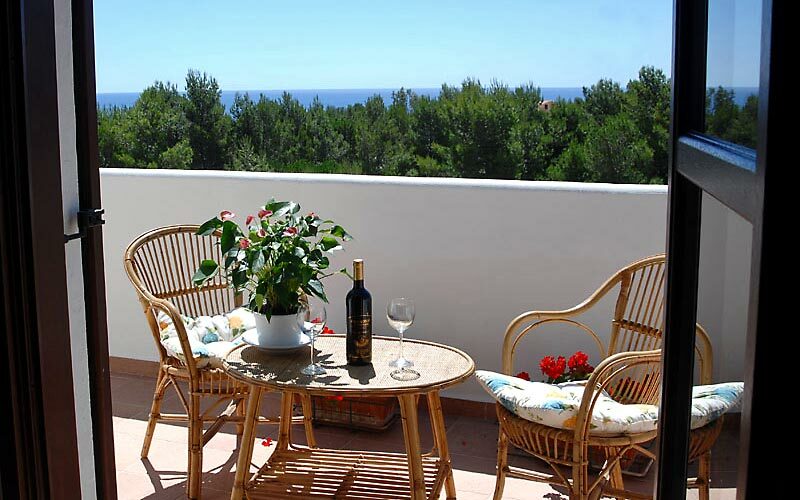 Sheltered by the slopes of Mount Bardia behind, the hotel enjoys a superb view of the sea of Cala Gonone. One of Sardinia's most beautiful beaches lies just 500meters away from the hotel. 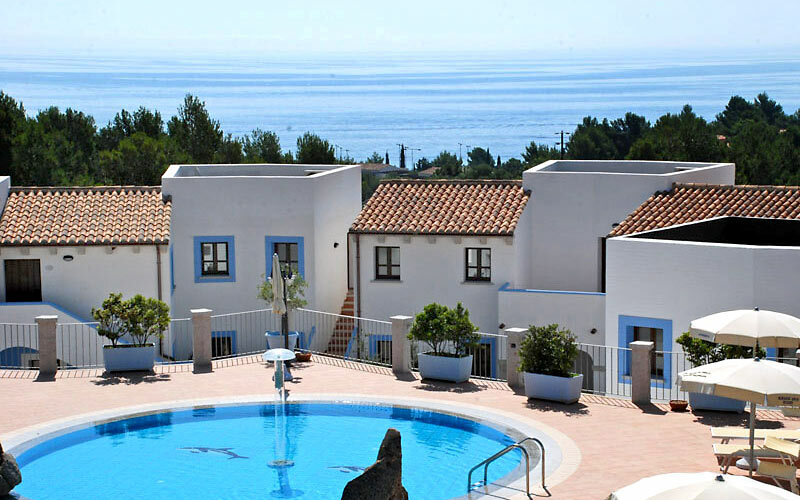 An ideal choice for nature lovers, the hotel is situated within easy reach of the Gennargentu Park and the Orosei Gulf Marine Reserve.